Fans of Japanese TV will know that Japanese TV has unique content that is very, very different from the rest of the world. On top of that, their TV stations already show all the best content the Japanese studios have to offer so they have not made many of their content available worldwide. 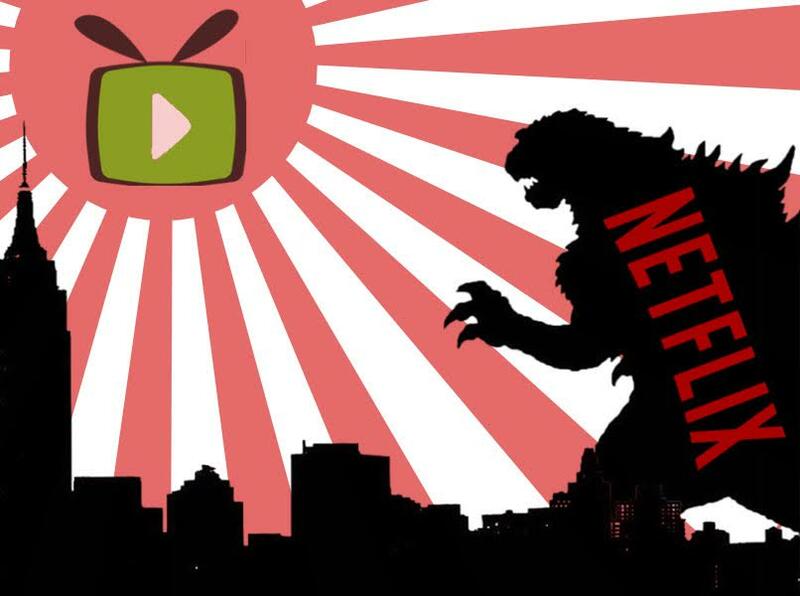 But as we all know, nothing really dampens the passion for Japanese content among its fans who rely on alternative solutions like VPN and illegal downloads. But thanks to the good folks at Netflix, exclusive Japanese content, previously restricted to just Japan is now available online . However, unless you’re actually in Japan, you can’t watch any of the good stuffs there. With Simpletelly, all you need to do is change your region on Simpletelly and you can unlock all the J-Drama, engaging J-Movies and immersive Animes, regardless of where you are currently staying in. Already have a Netflix account but just not in Japan? Get Simpletelly to globalize your Netflix account. Simpletelly does not just unlock content in Japan, but it works for all other Netflix countries, simply because you deserve to watch good stuffs from other countries! If you haven’t subscribed to our service, yet, we have a 14 days free trial to get you started! Simply head on to Simpletelly now and follow our Setup Guide to unlock the full potential of Netflix ! 8-year-old Kiyoha (Anna Tsuchiya) is sold into a red light district in an 18th century Edo. She is then trained in arts of being a geisha. The feisty and rebellious Kiyoha starts her career from the bottom but quickly enthralls men and rises to be the top Oiran of Yoshiwara. She then falls in love with Sojiro (Hiroki Narimiya). Despite being courted by a wealthy samurai, Kuranosuke (Kippei Shiina), Kiyoha continues to act recklessly, scorning rich clients in favor of passionate pesants. But yet, she dreams of a life outside the brothel and eventually escapes the brothel and finds happiness with Seiji (Masanobu Ando). This gorgeous film is a regular fixture at various international film festivals. When two powerful ninja clans clash in feudal Japan, a battle of epic proportions arise. Both clans are now formidable forces, but are forbidden to fight by the Shogunate. An audience with the Shogun sparks off a war that has been simmering for over 400 years, where flames are fanned by malicious nobility. Oboro and Gennosuke, the young heads of the Iga and Koga clans, meet and fall in love, unaware of their clan ties, until they are selected to compete where they become bitter enemies. The battle that continues is of love, honor and power where only the best can survive. This Romeo and Juliet-esque movie is packed with action and drama that will keep you glued to your seat. The demure nation of Japan is not known for their reality shows, but Netflix has decided to produce one anyway. Terrace House: Boys & Girls in the City is an unscripted show where 6 strangers are made to live together in a luxurious terrace house and given one car *coughbigbrothercough*. The show basically focuses on the interactions between the people but unlike their more dramatic counterparts, the interactions are quite civil. Reality TV at its most authentic form? Perhaps, but this is a reality show that gives a really good insight to modern Japanese culture. Also a Netflix Japan original. Yonosuke, a country bumpkin,enters university at the late 1980s, when Japan was prosperous. Being naive and self confident, he gets on the nerves of all the cityfolk around him. Despite that demaneour, he slowly finds people to call friends. The movie fast forwards to his funeral, 20 years later where his friends recounts the good times they had with him. This film is another staple in film festivals worldwide and will give you a nice, warm feeling in the heart. Set in the 24th century, Mars is now dominated by water and is now called Aqua. Aqua is also now been colonized by humans. Despite all the technological advancements, Neo Venezia, a city within the planet Aqua is a recreation of rustic Venice of planet Manhome(Earth). In this city, gondolas drifting on canals and waterways are the main mode of transportation. As a natural development of such a picturesque city, tour agencies are formed to help the locals and tourists alike explore the city. One of these companies is Aria Company. Akari Mizunashi, a novice Undine (the title given to tour guides), works here. She is a free spirited teenager from Manhome. This series explores Akari as she bonds and learns more about her job and the people in her life, learning many valuable life lessons along the way. This is an immersive anime that lets you dive into the world of Aqua. Already in Japan but wish to access Netflix content from a different region? Login to your Simpletelly account and switch between 18 ( and counting!) different Netflix region using our Region Selector.